The Swami was feeling the effects of age and began to think seriously of a successor to him. Luckily he found one such in a rich Vellala of Kadayam, Arumukha Swami by name, son of an ardent Saivite A. Chokkalingam Pillai. He had taken early to sanyasam in 1905 and entered the Suriyanarkovil Mutt as a disciple of Sri-la-Śrī Muttukumaraswami Sannithigal. Arumuga Swami could not at first be easily prevailed upon to accept this great responsibility. By a Registered Will dated 18th January 1908 Mauna Swami transferred to Arumuga Swami all responsibilities of continuing the Tiruppani. The work progressed however continued by Mauna Swami, who turned his attention next to the central shrine. The Bali Mantapa and the eastern prakara of the first circuit were taken up in 1907. At this time, an accident to the principal idol of Subrahmanyam necessitated the consecration of a fresh idol. A worshipper afflicted with colic had rushed into the sanctum sanctorum and had caught hold of the feet of the Lord Subrahmanyam to deliver him from this dire affliction. The Potris and others in the sanctum were amazed at this sudden move of the worshipper, and, they caught hold of tbe man-to extricate his hold of the feet of the Lord. But unfortunately his hold was fast and the idol gave way and had to be replaced by a fresh one. The consequent Ashtabandhana Kumbhabishekam of the new idol by the Trustees of the temples had to be performed in 1909. The funds at their disposal were found insufficient; and Mauna Swami offered an amount of Rs.  15,117_9_0 as his contribution for the purpose from the Tiruppani exchequer. The consecration was duly performed. 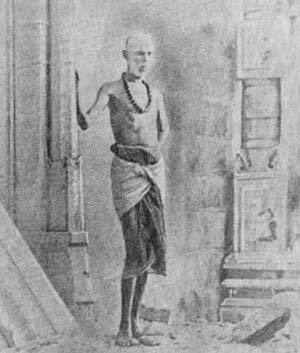 The call for Mauna Swami had actually come now, and he attained the feet of the Lord Śiva on 19th April 1909. He was given a samadhi the next day, and his bodily remains interred next to that of Kasi Swami. Arumuga Swami had not til then entered on his duties, though virtually appointed to succeed the deceased swamin. Arumuga Swami who has then on a pilgrimage to other sacred places had just settled down at his ashram in Periyakulam. He was loathe to leave his life of renunciation to one of active service as was now offered to him. But however he had to yield. As soon as Mauna Swami passed away, the trustees of the Devasthanam took charge of the Tiruppani and carried it on. They were not to continue it for long. A suit to recover a large amount of Tiruppani funds had to be urgently filed as per terms of the Will and Arumuga Swami was pursuaded to accept the trust. He was entrusted with the Tiruppani from 29th of January 1910, the day of his assuming charge.